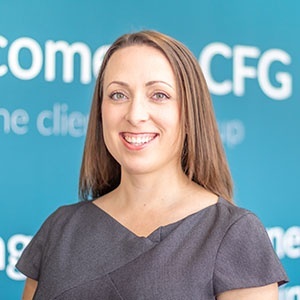 Emily is a Senior Associate Solicitor at CFG Law with over 13 years’ experience in serious and catastrophic injury claims. Her expertise in dealing with life-changing injury claims means Emily always maintains high levels of client care and builds trusting relationships with clients to support them and their family fully. Emily endeavours to respond to every clients’ needs on an individual basis and gains a great sense of satisfaction from being able to help people and make a difference to their lives, often when they are feeling anxious or confused about the situation. During Emily’s career, she has always strived to handle all cases with sensitivity and has built a reputation both internally and externally as a very competent and compassionate solicitor. Listening to her clients and truly understanding their needs to provide full care and support. Actively sourcing early rehabilitation and treatment to ensure the best recovery possible and early interim payments to ease any financial strain. Helping clients and supporting them with their problems to help them achieve a better quality of life. 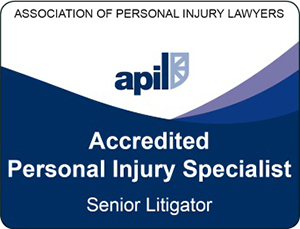 Maximising damages for clients and exploring all options for claiming damages, no matter how unusual. Guiding clients through the complexities of the litigation process in a friendly and professional manner. Exploring serious injuries including brain injury, orthopaedic injury and spinal cord injury and the wider impact these can have on peoples’ lives. Finding support, rehabilitation and specialist equipment for clients to help them get their life back and enjoying the things they love. Yoga, running and enjoying the chaotic fun of having two small children!